In 2016, Bobbi completed her Bachelor’s degree in Commerce with a major in Human Resources at the University of Saskatchewan. Shortly after successfully completing her degree, she joined Edwards Executive Education in November 2016 as a Sales and Customer Service Coordinator. With a passion for continuous learning and development, adult education, and the development of Saskatchewan’s business community, Bobbi was eager to move into her the role of Program Coordinator in 2017. 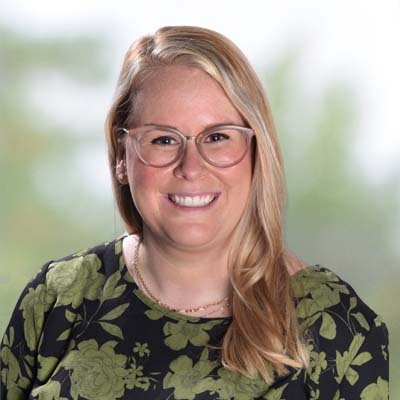 As a Program Coordinator, Bobbi works within the team to promote and coordinate management and executive training and development programming for the Saskatchewan business community. Alongside her team, Bobbi manages our social media channels and website. She has a wealth of experience in sales and customer relationship management. Prior to joining Edwards, she spent 12 years as a small business owner and currently owns Vanity Hair & Esthetics salon in Saskatoon. In 2017, Bobbi purchased, restructured and expanded the business. She manages all facets of the salons business operations alongside her business partner. Bobbi also designed and manages Vanity Hair and Esthetics website and social media channels. Bobbi recently joined the Fetal Alcohol Spectrum Disorder (FASD) Network of Saskatchewan as a board member; her role is specifically to assist and advise in succession planning for the organization. She is excited to be a part of this governance board where she can help enhance the lives of individuals and families living with FASD.